Another World for Android in survival game genre with the storyline is time travel. 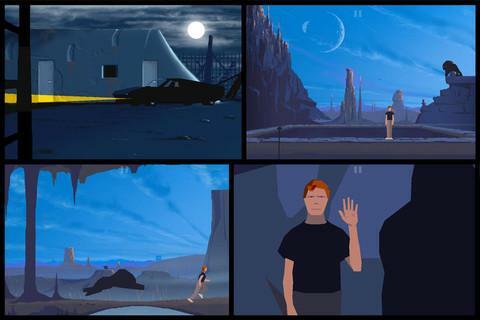 Another World for Android brings players to many periods of time, both future and past full of dangers. What would you do to survive until the day you back to your timeline? Another World for Android is a remake of an old famous game name Out Of This World. This game ran in has been on dozens of platforms since its debut in 1991. All of it has become a favorite game of gamers and critically-acclaimed critics thanks to its cinematic effects, high-quality graphic, sounds and scenes. 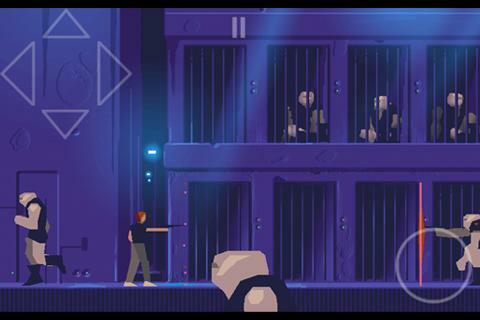 Another World for Android has an attractive storyline for everyone who loves adventures. Players control Lester Knight Chaykin – a young physicist. One day, his lab was suddenly struck by lightning and totally destroyed. To make worse, that accident put the guy to another world. Here had full of the monster in human form. Dangers everywhere. The mission of players is to find out the way to help Lester Knight Chaykin back to his home. The journey begins from 0. You surely face to obstacles. However, don’t worry, be patient, you will meet a trusted companion, help you in this cruel war soon. Another World APK Android not only challenges the player with the hunts of the beasts, the bad guys, but also the tough puzzles. Try to solve it cause after that players can claim valuable rewards. They can be items, weapons to help you survive. The environment always changes through many different ages so gamers have no oppotunity to feel boring. Sometimes, you need to control your characters jump across stones, run as fast as you can, shooting or make a shield,… As mentioned above, movie effects are the main attraction of Another World for Android. The action scenes the same challenge as the scenario of a movie adventure, timeless fantasy action. About graphic, Another World for Android different the others nowaday survival games. No glossy, colorful, character design, images with standards of the old cartoon. However, the harmony, variety in context, flexible character response still makes players happy with the fee paid. Change original graphics to HD just simply by sliding two fingers across the screen. The special touch control system is redesigned or uses the D-pad (classic arrow and action buttons). Compatible with the Zeemote multi-touch push button Bluetooth connectivity.